The end of the year is often called the "season of giving", when people are asked to contribute to worthy causes. The worthy causes and projects listed below are asking not for your money but for your time, knowledge, and information. Please read through them and see if you can help. The American War Cemetery and Memorial at Margraten, Netherlands includes graves for 8,301 American soldiers and an additional 1,722 names listed on the Walls of the Missing. The “Faces of Margraten” project, sponsored by the Foundation of United Adopters of American War Graves, has collected almost 4,100 photos of service members buried in Margraten or listed on Walls of the Missing since 2009. The aim of the group is to remember U.S. soldiers buried in overseas American cemeteries and to commemorate the World War II liberators of the province of Limburg and of the Netherlands. If you have a photo of a soldier buried or memorialized in Margarten, please consider submitting it via the site's contact page. Information will be stored in the Fields of Honor database, where searches can be made for soldiers buried or memorialized in the American War Cemeteries in Margraten, Ardennes, and Henri-Chapelle. The next public tribute will be in 2018. Gunnar Pudlatz of Hamburg, Germany is looking for witnesses or testimony on actions by his grandparents in the years 1939–1945. He has about 930 letters his grandparents wrote to each other in the 1930's and 1940's, in which they talk about people being hidden. 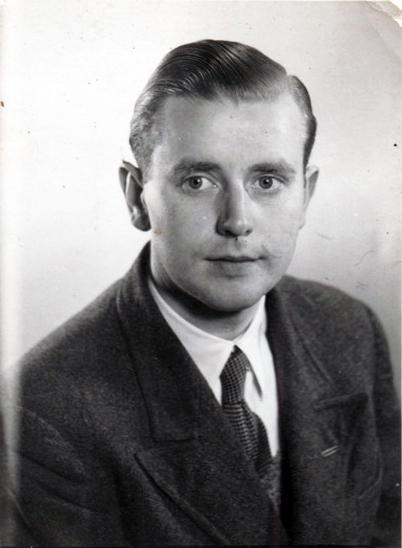 Gunnar's grandparents were Karl Anton Keßler (1912–1942) and Gerda (Bertram) Keßler (1911–1983). They were pastors of the reformed church in Altlandsberg, east of Berlin, and were in Altlandsberg from 1939–1945. According to oral history they hid up to 50 Jews in their home at Bernauer Straße (street) 16. Jews would probably have arrived through the back yard, entering the garden through a gate in the town wall, and were most likely hidden in the basement. The garden was used to grow plenty of fruits and vegetables, so there was always enough food to share with those the Kesslers hid. Karl and Gerda were well connected with other pastors in the area. Karl had worked at Büro Grüber and was a member of the confession church, whose members helped each other through networking and evidently also built up a chain of shelters around Berlin, so people in hiding could be passed from one hideout to another. Gerda said that sometimes they hid Jews for "longer periods." Unfortunately Gerda never mentioned any names after the war, and because her house was one of the few in the city that had burned to the ground, she left Altlandsberg in September 1945. The hope is that the photographs, names, and circumstances shown here will be found by survivors who spent that time around Berlin or anyone who has information about these people. Suche nach Zeugen und Belegen für Hilfsaktionen für Juden durch Karl Anton und Gerda Keßler in Altlandsberg (1939-1945). 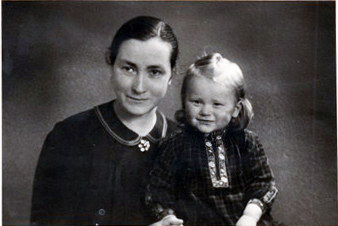 Karl Anton Keßler (1912-1942) und Gerda Keßler (1911-1983), geborene Bertram, halfen in der Nazizeit/im zweiten Weltkrieg als junge evangelische Vikare der Bekennenden Kirche im Pfarrhaus der von ihnen betreuten reformierten Schlosskirchengemeinde von Altlandsberg (östlich von Berlin) mehreren Menschen, die als Juden verfolgte waren. Ihrer Tochter Johanna – meiner Mutter – hat Gerda Keßler nach dem Krieg davon erzählt. Karl Keßler arbeitete zusätzlich zu seiner Arbeit in der Gemeinde im Berliner „Büro Grüber“, wo bedrängte Menschen betreut wurden und von wo aus Ausreisemöglichkeiten vermittelt wurden. Während Karl in den Krieg zog und bei Stalingrad starb versteckte Gerda noch bis zum Kriegsende verfolgte Juden im Pfarrhaus in der Bernauer Straße 16 in Altlandsberg, unter ihnen gelegentlich auch Kinder. Gerda Keßler verließ Altlandsberg im September 1945. Sie erwähnte gegenüber ihrer Tochter nie die Namen der Versteckten. 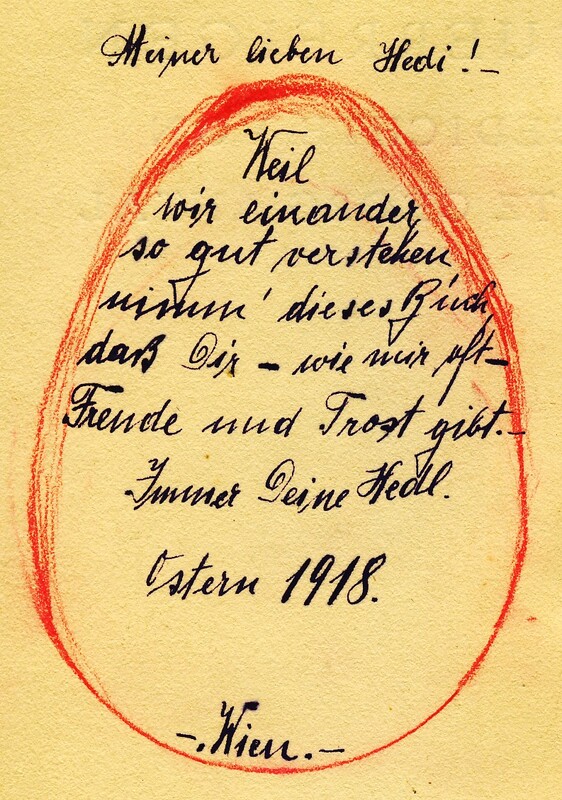 Sollte sich jemand an Hilfsleistungen der beiden erinnern, diese bezeugen, mündliche oder schriftliche Belege dafür haben, würde ich mich über Informationen und Kontakte sehr freuen. For questions and more pictures Gunnar can be contacted via e-mail at schuwoe@gmx.de. Was your Irish ancestor a Mountbellow Workhouse girl who immigrated to Australia in 1853 aboard the Palestine? The Mountbellow Workhouse Project is tracing the descendants of 33 Mountbellow girls who left on that ship. The project wants to tell the girls' stories, establish from where in Galway they came, and connect descendants with their Irish cousins. Some of the girls' siblings immigrated to the United States, so there are relatives there also. Background information and the story of Mary Dooley, one of the workhouse girls, can be read in an article on IrishCentral; more information about Mary Dooley can be found in a follow-up article. You can contact the Mountbellow Workhouse Project via its Facebook page. The Mississippi Link recently published an article about an effort to collect information and stories about the history of midwifery. The oral histories conducted have included people who were birthed by midwives and women who used the services of midwives when they had their children. The article noted that black midwives delivered white babies and white midwives delivered black babies, and the oral history collection will include stories of both races. More stories of midwives are being sought, but it is unclear whether only stories relating to midwives in Mississippi are desired. To share stories and for more information on this project, e-mail Alferdteen Harrison, Ph.D., at alferdteen@aol.com or call (601) 953-4060. Did you know that you can help decode and transcribe U.S. Civil War messages and telegrams? 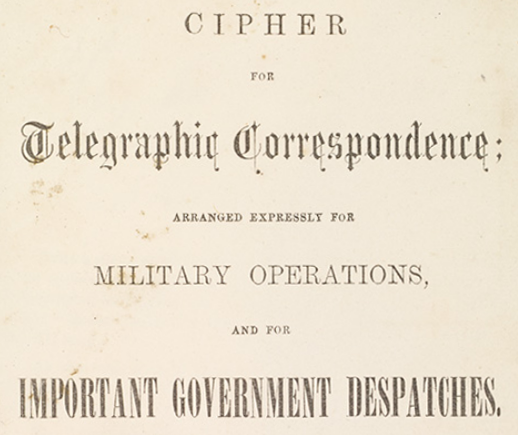 Thomas Eckert, who was in charge of the U.S. War Department's Civil War telegraph program, saved almost 16,000 telegrams that helped direct the course of the war. 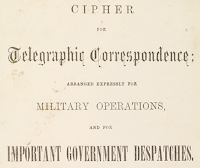 Eckert kept the telegrams, including many in code and the accompanying cipher books. These have now been digitized and are being transcribed through a crowdsourcing effort. The Huntington Library, which holds the collection, announced the project on its blog. You can learn how to participate and sign up on Zooniverse, which is hosting the project. As part of its 50th anniversary commemoration, the British housing charity Shelter is trying to make contact with children and families who appear in 1960's and 1970's photographs depicting postwar run-down housing conditions. This article discusses the history of the original photography project and includes commentary from the photographer. Images of all of the photographs are available online. Why do you want to research your family tree? Dr. Tanya Evans of Macquarie University in Sydney, New South Wales, Australia wants to hear only from residents of Great Britain and Australia about this question. She is interested in learning the motivations behind your research and the emotional impact of your family discoveries. Evans has written a book on the history of Australia's oldest surviving charity and has acted as a consultant for the Australian version of Who Do You Think You Are? You can contact her at Tanya.Evans@mq.edu.au. This is an update to an effort I have written about previously. The Jewish Community of Nuremberg is in possession of the so-called Stürmer or Streicher Library, a collection of approximately 10,000 books the Nazis took from Jews, Catholics, Freemasons, and others. The books were taken primarily from Nuremberg, Franconia; Strasbourg, Alsace-Lorraine; and Vienna, Austria, but provenance research has indicated that more than 2,200 owners were from other parts of Europe or from overseas. The Jewish Community is asking for assistance in finding the former owners or their descendants so that the books may be returned. Restitution is free of charge. So far more than 700 items have been returned to ten different countries. More background on the collection, a list of known owners, and photos of identifying information from the books are available on GenTeam. Additional background information is available here. Contact Leibl Rosenberg, representative of the city of Nuremberg for the Jewish Community, with questions and research results. The Canadian Letters and Images Project, which began in 2000, is an online archive of the Canadian war experience—from any war—as told through letters and images of Canadians themselves. Contemporary letters, diaries, and photographs are digitized, permitting Canadians to tell their stories through words and photographs. This is the largest such collection online in Canada, about 20,000 letters and growing. A YouTube video about the project may be viewed at https://www.youtube.com/watch?v=X0g2VFdYfIg. To search the project site go to http://canadianletters.ca/search/site. 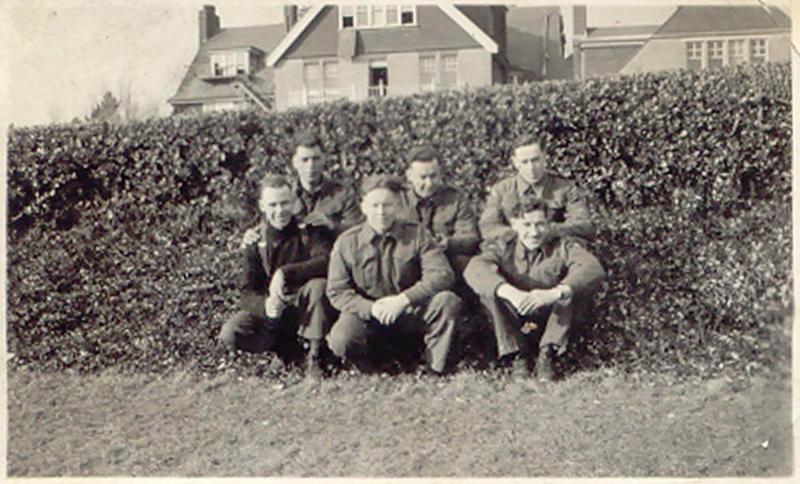 The project wants to borrow correspondence, diaries, photographs, and other personal materials connected to Canadians at war, on the home front and the battlefront. The documents are digitized in their entirety, with no editing, and the originals are returned to their owners. The project makes arrangements—at its expense—to have materials picked up and returned by courier to ensure the materials' safety. 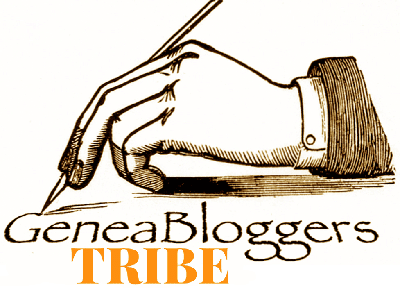 If you are interested in sharing your family's war letters, diaries, etc. with the project, visit http://canadianletters.ca/content/about-us and scroll down to “Contact Us.” The materials must be about Canadians, but anyone, whether in Canada or not, may contribute letters, diaries, and other memorabilia. Lonnie Franklin, Jr., was convicted on May 5, 2016 of being the serial killer nicknamed the "Grim Sleeper." Part of the evidence that connected him to deaths that occurred in Los Angeles between 1985 and 2007 was a collection of photographs hidden in his home. Franklin had apparently been in the habit of taking photos of each of his victims. While the photos helped gain Franklin's conviction, not all of the women in the photos have been identified. A page on the Los Angeles Police Department's site shows photos of 33 women whose identities are not yet known. Some of the women appear to be unconscious or possibly dead, so his list of victims may be longer than is currently known.